In recent years, there has been rapid growth of e-government services & application go on web. Malaysia federal government enable national budget services and application online for more efficient on managing, planning, monitoring, evaluation and accountability. The information and data was used by the application are high confidential and very important for country. The need to develop strong policy and technical mechanisms to improve the security of and enable secure communications for applications on the web. One of the research output from local research institute (MIMOS) was identify and deployed to enhance and protect the system and confidential data. Centralized multimodal authentication platform with trust model approach was used to secure and protect the federal e-government budgets services and applications. Sea Chong Seak, Zulkfli Bin Ahmad, Wong Hon Loon. "A Centralized Multimodal Authentication Platform with trust model approach for securing federal e-government budgets services and applications." 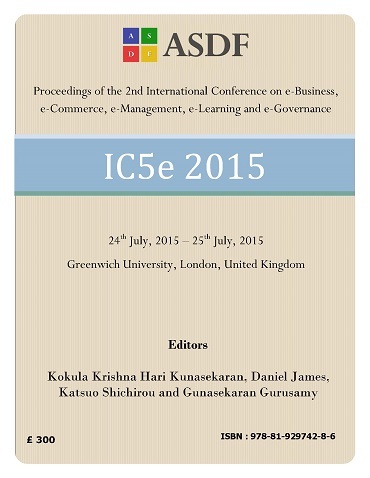 International Conference on eBusiness, eCommerce, eManagement, eLearning and eGovernance (2015): 104-108. Print.